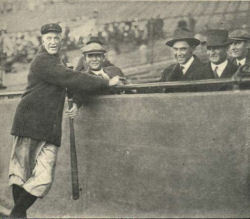 Grover Cleveland Alexander talking with a group of Red Sox players near the close of the 1915 season. 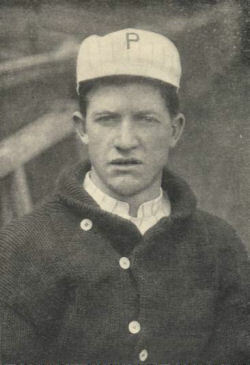 Ernest Shore, the man who faced him in the opening game of the series, is the central figure of the group. 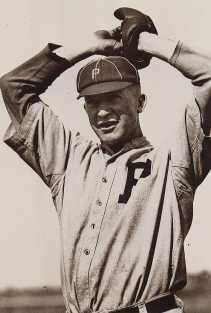 Grover when he first joined the Phillies. 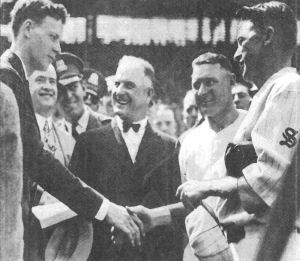 Charles Lindbergh shakes hands with Cardinals pitcher Grover Cleveland Alexander, star of the 1926 World Series, on June 18, 1927, at Sportsman's Park. 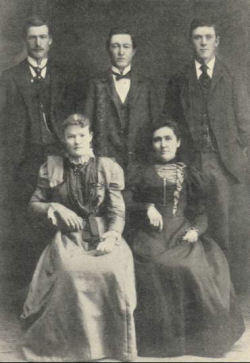 With them are bow-tied umpire Charley Moran, who coached Centre College's 1921 football upset of Harvard, and Bob O'Farrell, player-maager of the world champion Redbirds. 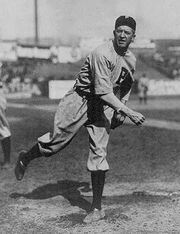 Grover's Alexander long-limbed, loose jointed build was an ideal pitching frame. In his day, Alexander was the National League's Greatest hurler. 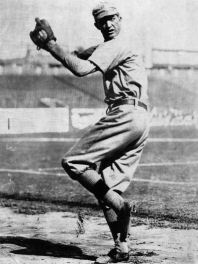 Walter Johnson was the American League's best. Both were 6'1", 190 pounds. 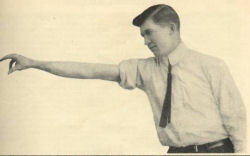 Both threw side-arm and had endurance and wirey strength. 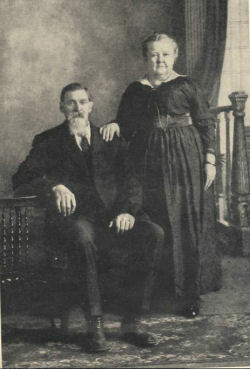 William & Margeret Alexander, parents of the World's Greatest Pitcher as described in 1915's Baseball Magazine and esteemed by those of us from his home town, St. Paul, NE.